Elaine Hancock (Olney, United States) on 19 September 2013 in Transportation. Rail yard in Sykesville, MD. Gorgeous light and a dramatic view in this awesome image. Love it. Excellent POV, Elaine. You made sure not to go near any train, I hope. Nice frame and curve line shot. 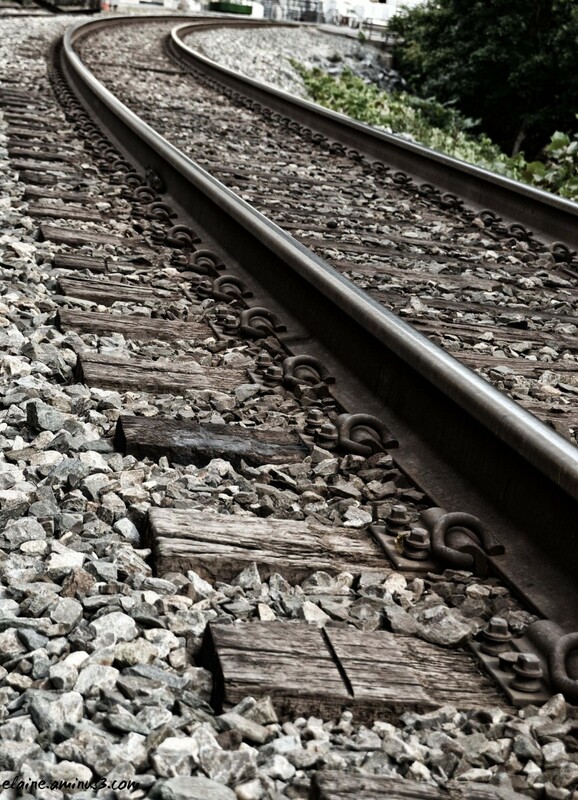 A fine shot of these continuous rails. I like the graphic aspect of this shot and its detail near and far. Very well done. Excellent shot and beautiful perspective. The composition is magical, a very good picture. I like a lot. 5 stars from me - I love this point of view - it captures beautiful shapes and lines. Excellent! Magnificent framing! I love the perspective! Great angle and perspective ... great curve and full of textures! una prespectiva y encuadre excelente, muy buena!! A photo that is all leading lines! Cool. nice perspective and curves. They seem in better condition than here (if you heard about it). Quel graphisme de voies et effet de courbes merveilleux. Really strong composition, well done! Really nice. A perfect angle of view with strong lines. Good work.